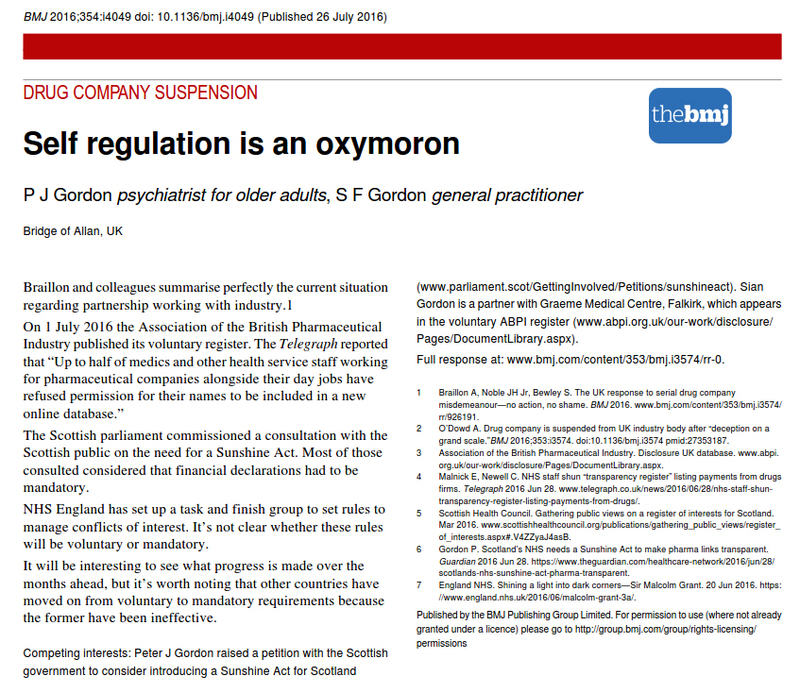 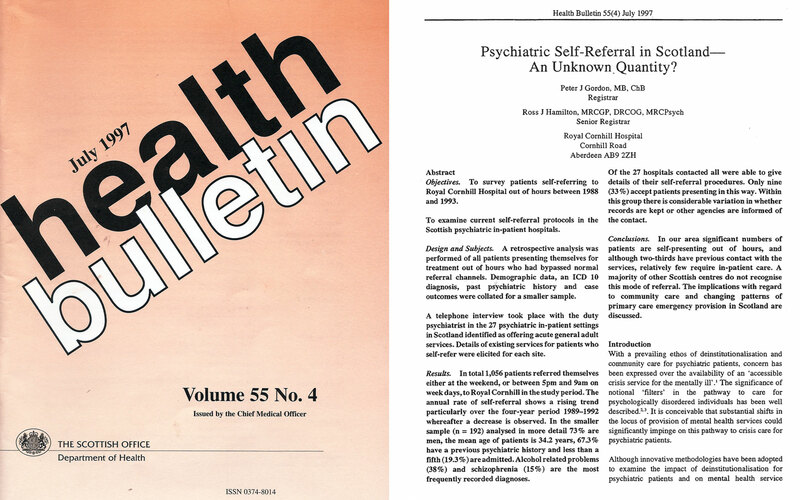 (1) Psychiatric self-referral in Scotland: an unknown quantity? 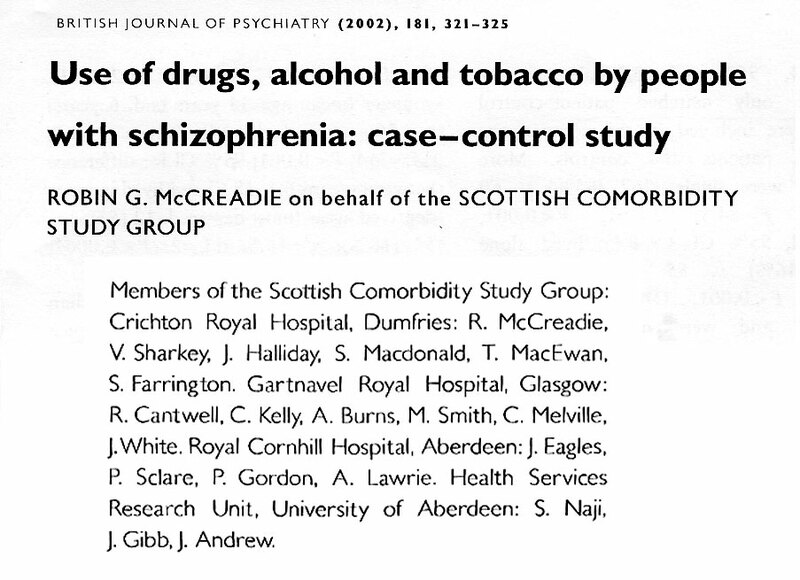 (4) Re-evaluating George III, the porphyria diagnosis, and the King’s madness. 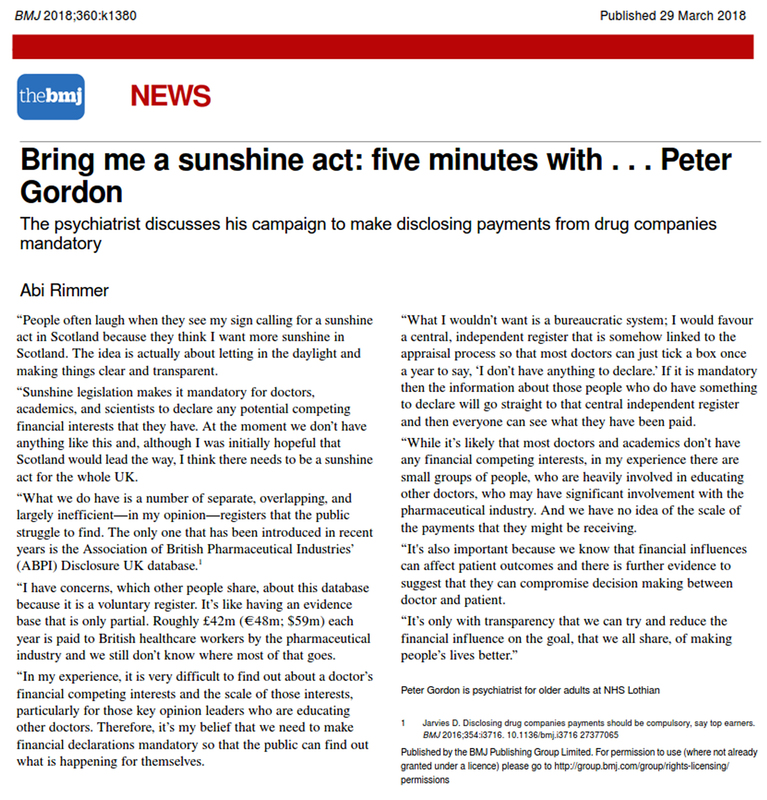 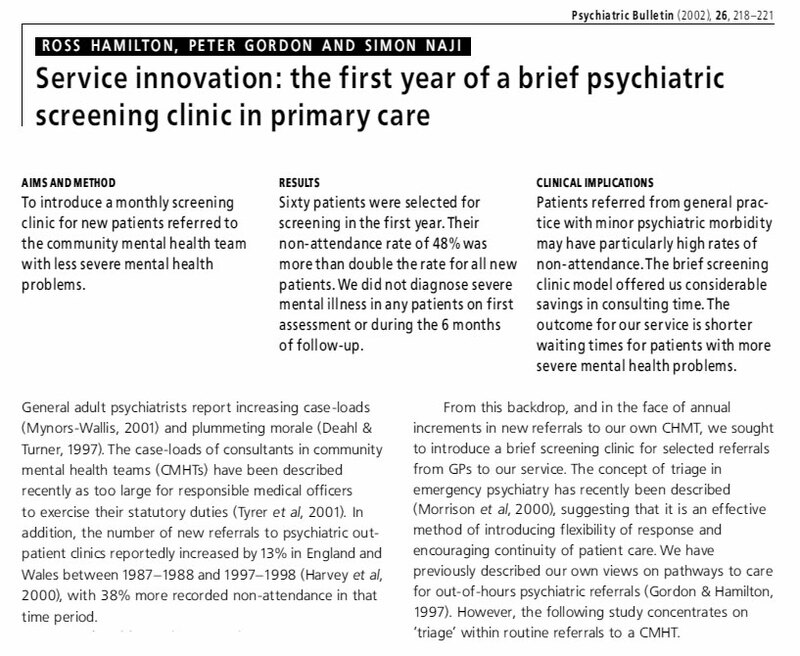 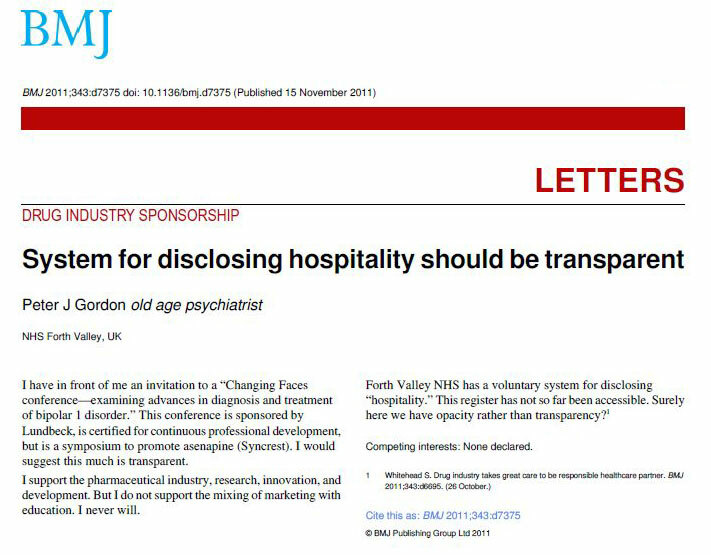 Letter in reply to the two articles published in History of Psychiatry Journal; March 2010; Vol 21; Issue 1; No 81. 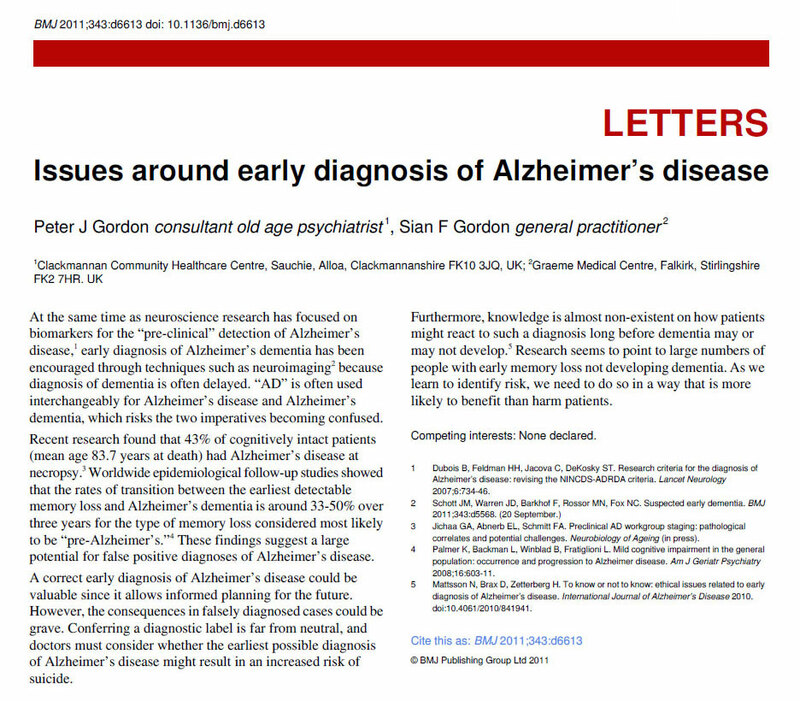 (5) Issues around early diagnosis of Alzheimer’s disease. 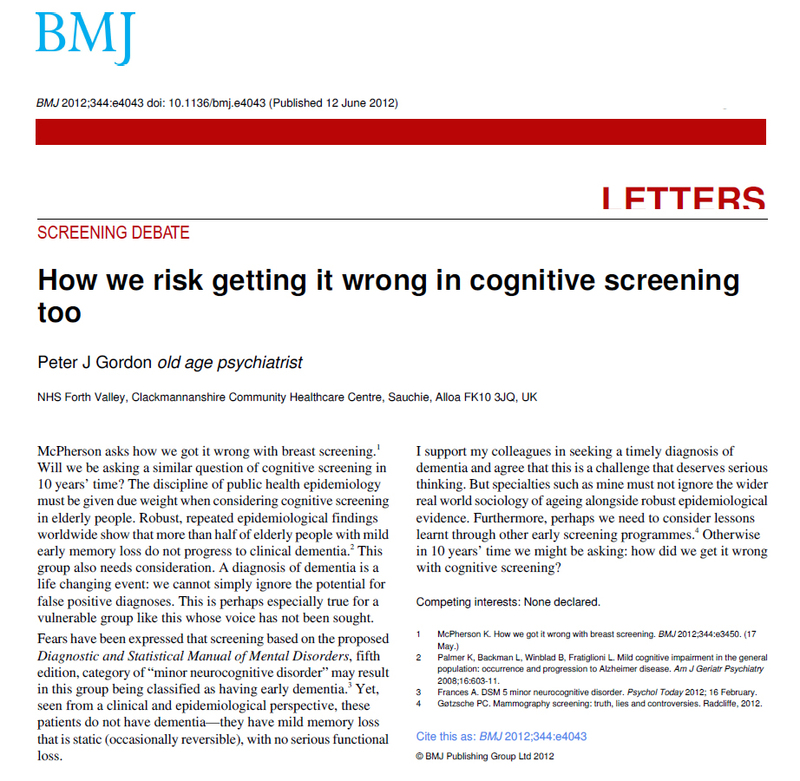 (9) How we risk getting it wrong in cognitive screening too. 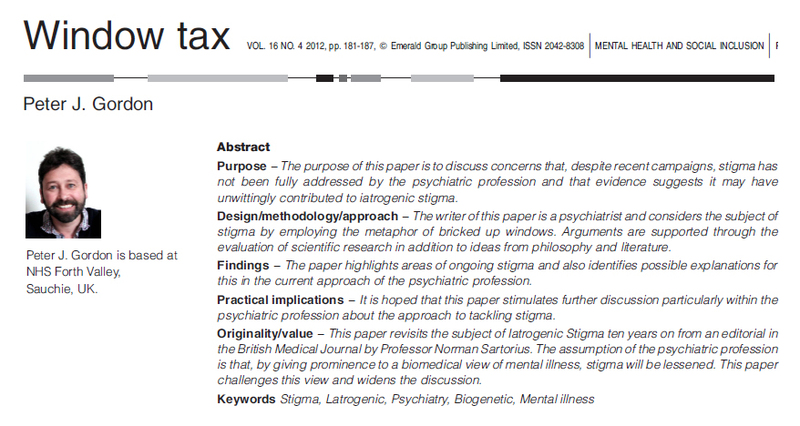 (10) Window tax: Iatrogenic Stigma. 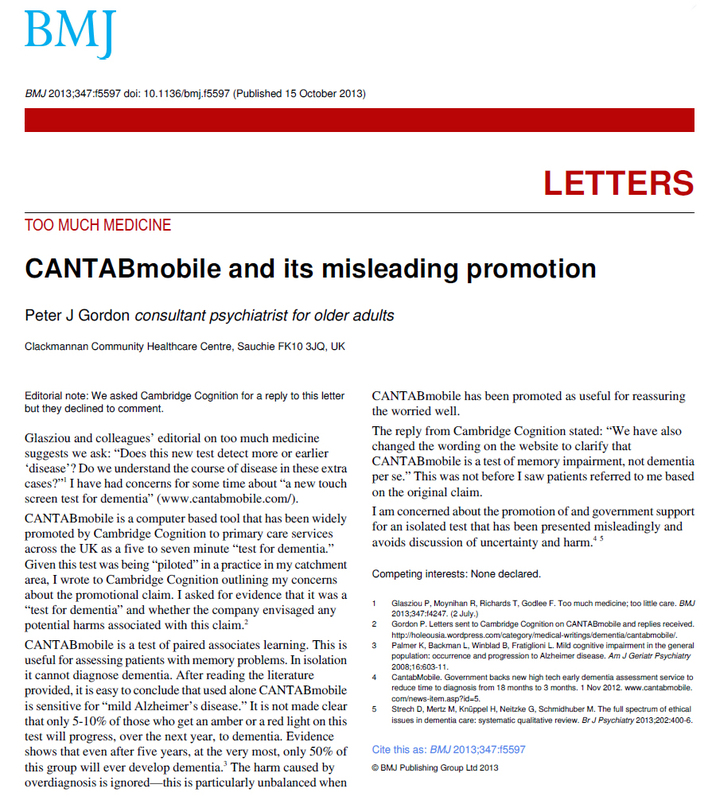 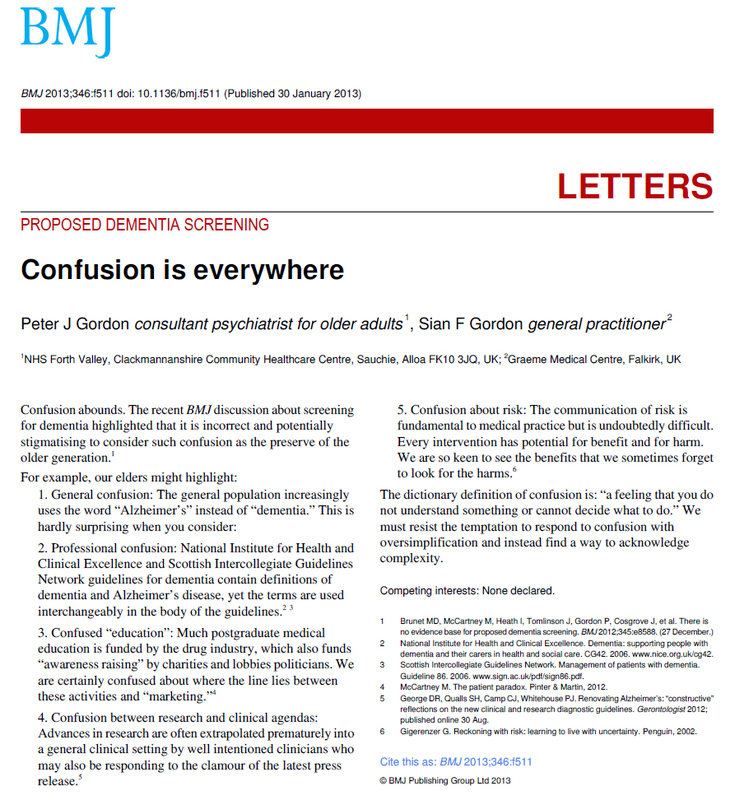 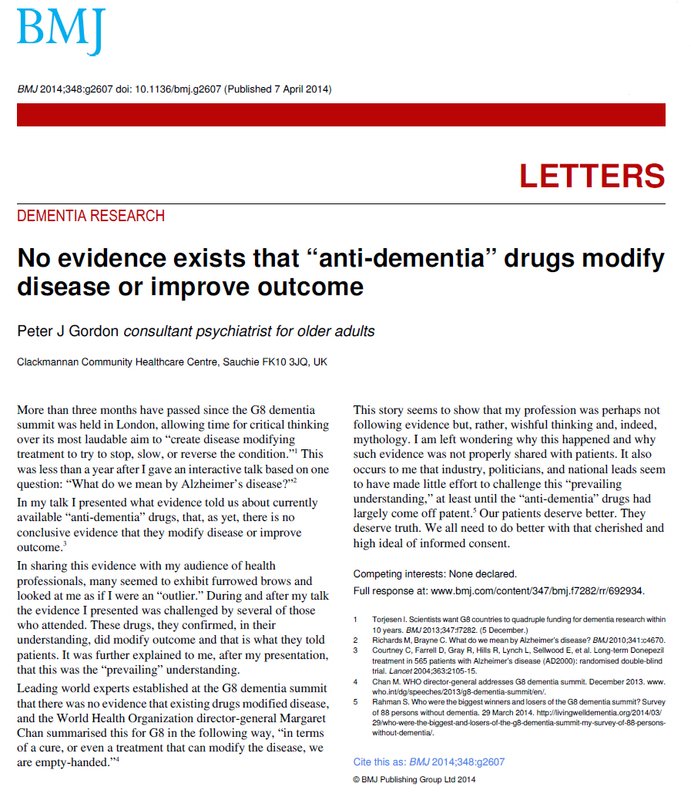 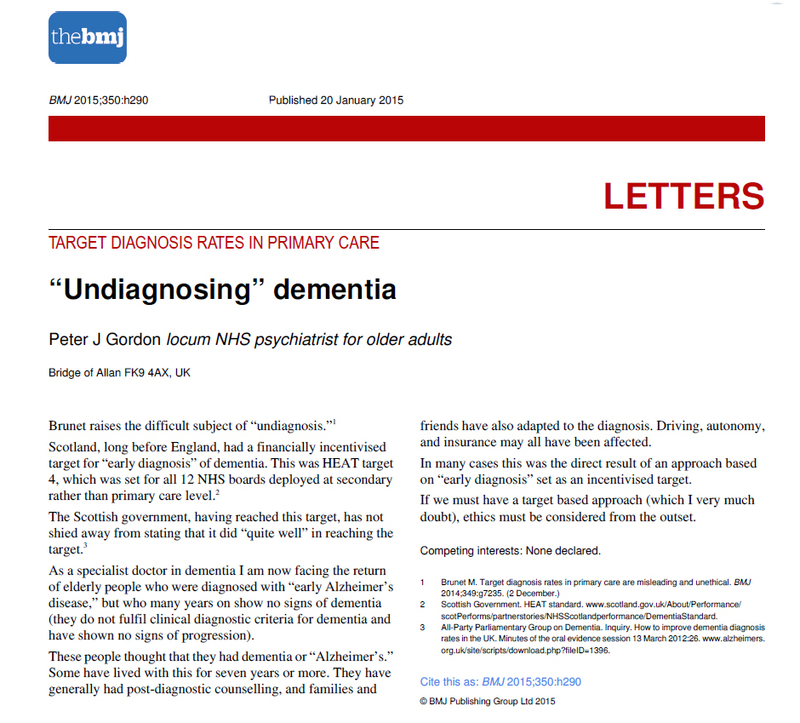 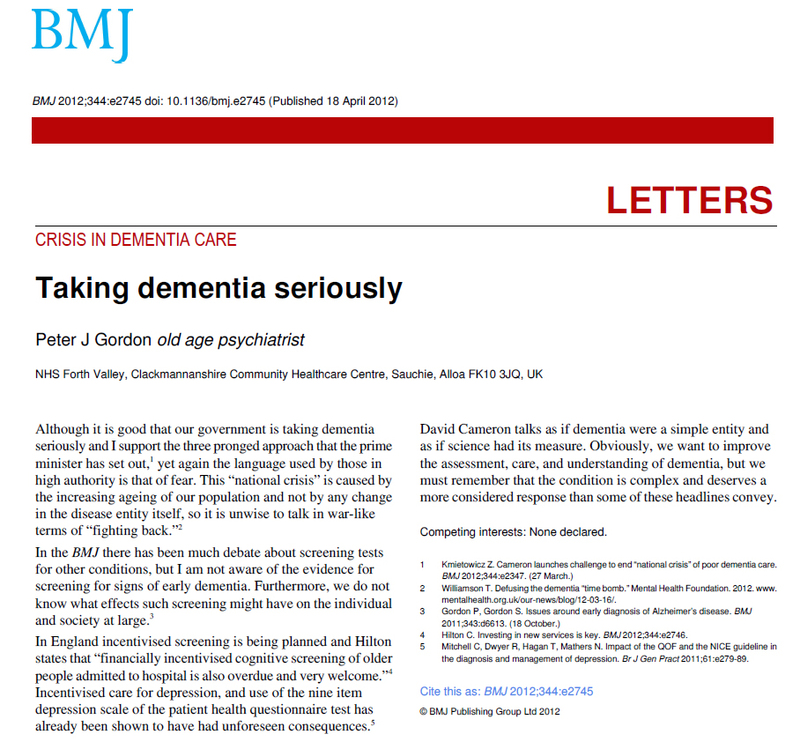 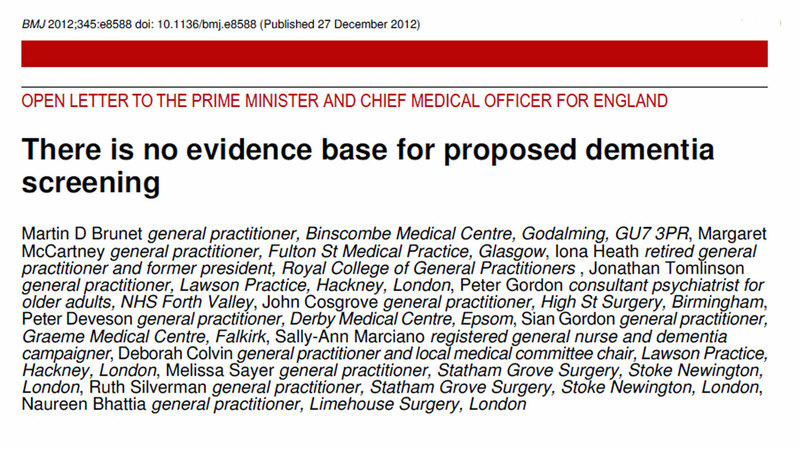 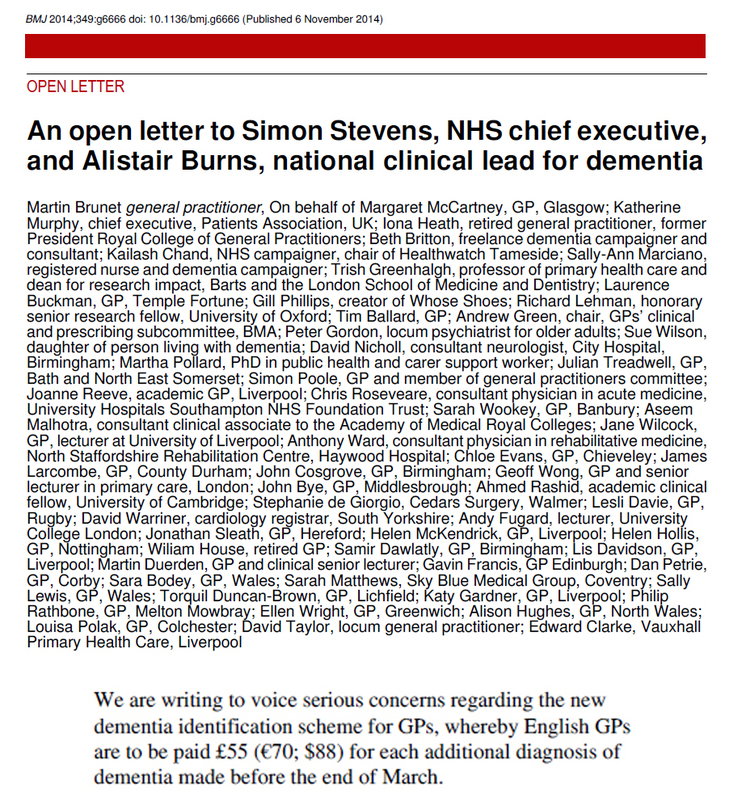 (11) There is no evidence base for proposed dementia screening. 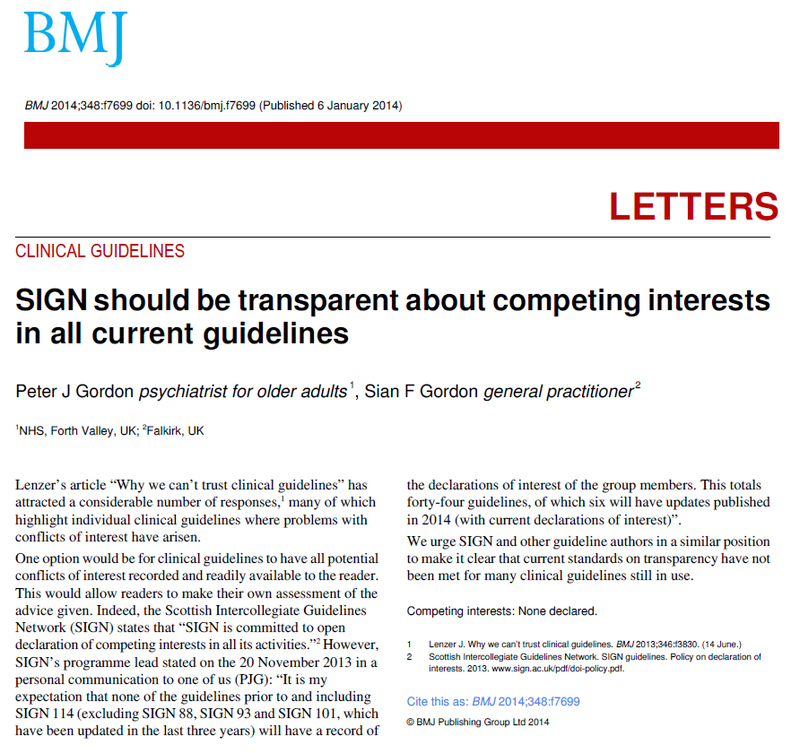 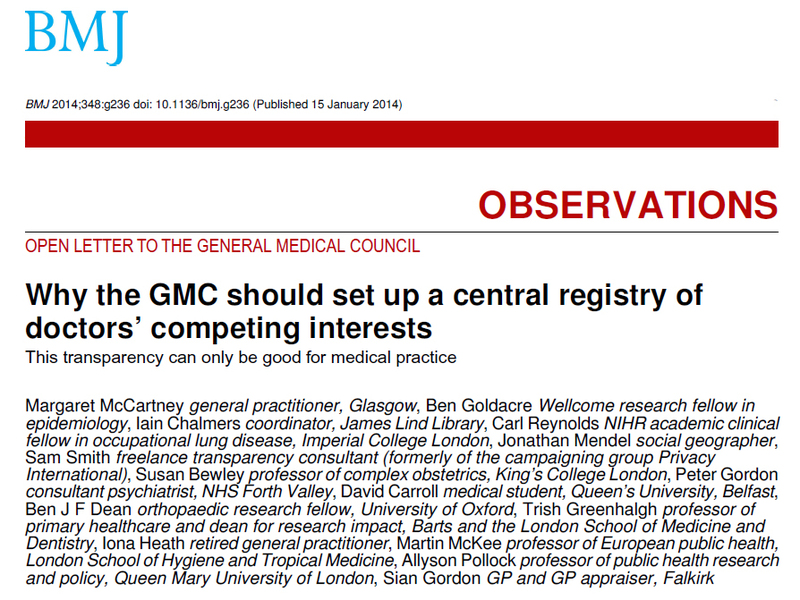 (15) Why the GMC should set up a central registry of doctors’ competing interests This transparency can only be good for medical practice. 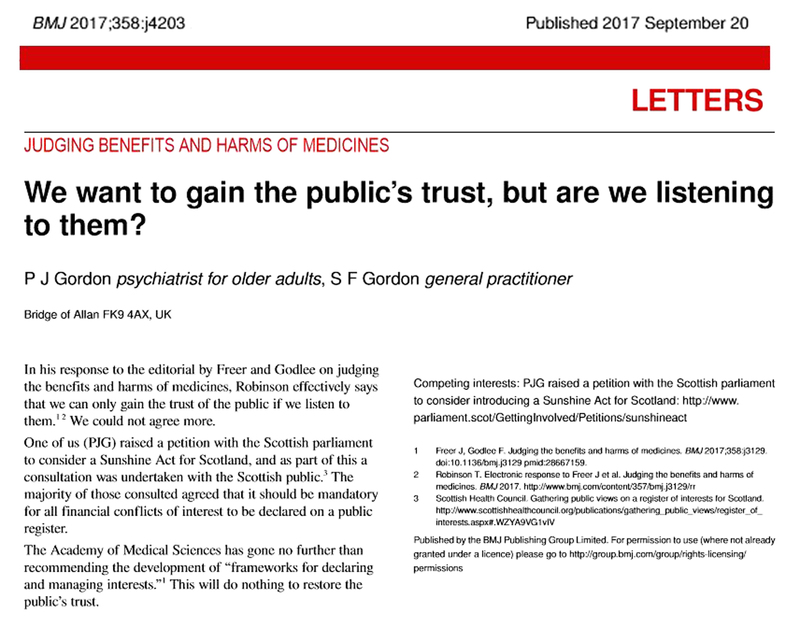 (20) We want to gain the public’s trust, but are we listening to them?